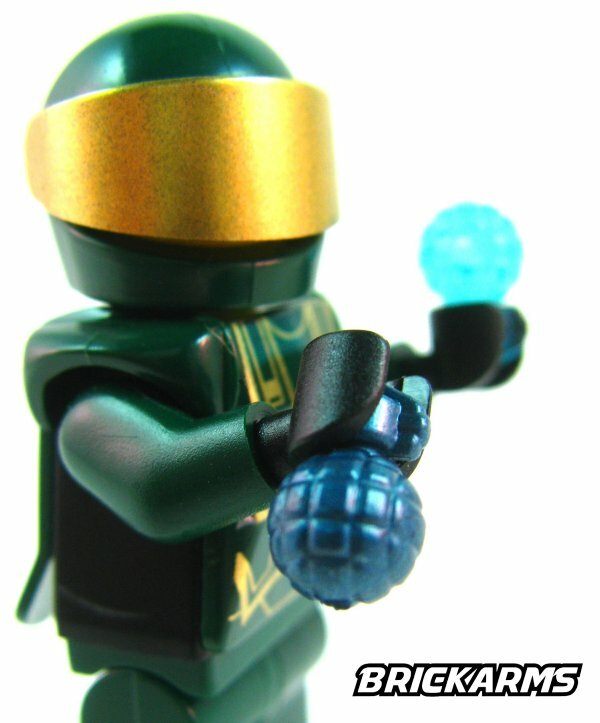 A classic of warfare, a fragmentation grenade strikes at the enemy with a powerful explosion and razor-sharp shrapnel. 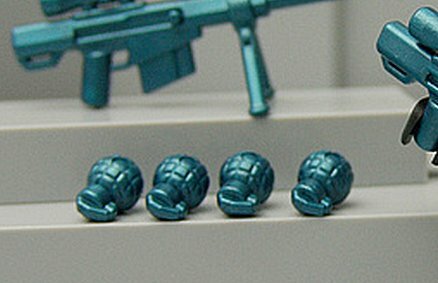 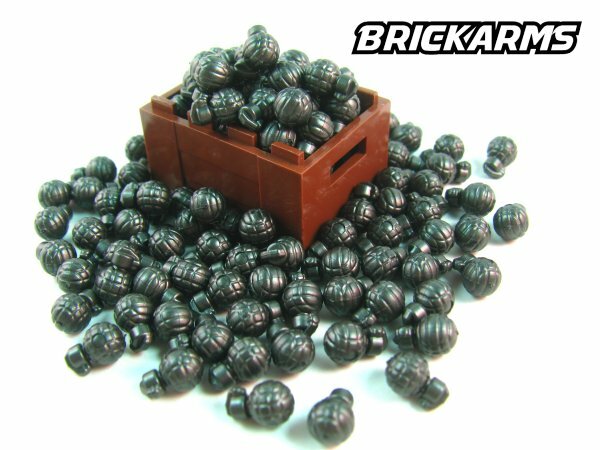 Terrifyingly effective as an anti-personnel weapon, BrickArms now lets you add this iconic weapon to your figs' arsenal with the BrickArms Mk2 Frag Grenade, a highly detailed accessory that beautifully captures the segmented look of this style of grenade. 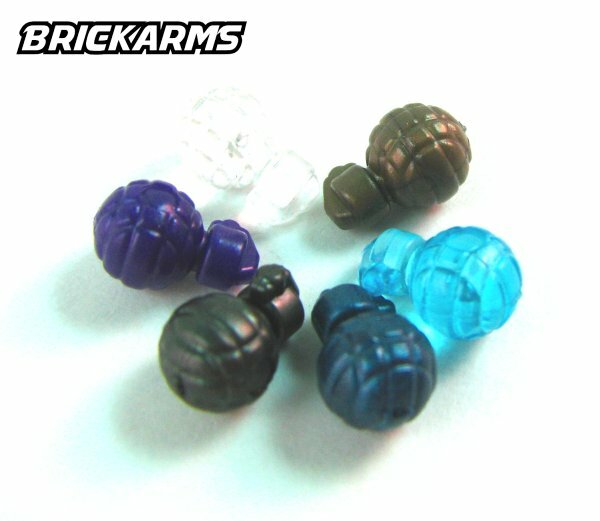 Have your figs send a BrickArms Mk2 Frag Grenade flying towards their foes today!